For the 51st month in a row, the Bank of England has elected to keep interest rates at 0.5%, an all-time low. Loan applicants with a good credit report (visit http://www.creditexpert.co.uk/credit-report.aspx to find out yours) continue to take advantage of cheaper lending rates, fuelling the property market and stimulating the economy. However, these low interest rates will not be around for much longer. Mark Carney, the governor of the Bank of England, said last month that he expects to see a gradual increase of the base rate, before interest rates revert to a “new normal” of 2.5% in 2017, cited here. If rates are set to incrementally increase by 2% over the next three years, it is safe to assume that the first rate change will be coming sooner rather than later. This is good news for anyone who has a savings account with a UK bank – they are likely to pass on the interest rises to savers who are not locked into fixed term saving accounts. For borrowers, however, it is a different story. Anyone who has taken out a loan, credit card or mortgage during the last few years will have benefited (whether they realise it or not) from particularly competitive lending deals. The 0.5% base rate makes it cheaper for banks to borrow money from the Central Bank and these savings have been passed onto the customer, and applicants with a favourable credit report could access mortgages of around 2-3%. But when interest rates rise, so will lending charges. According to a new survey by the HomeOwners Alliance and Myhomemove, more than one in three UK homeowners are afraid that they won’t be able to afford their mortgage payments and other debts when the interest rates start to go up again. 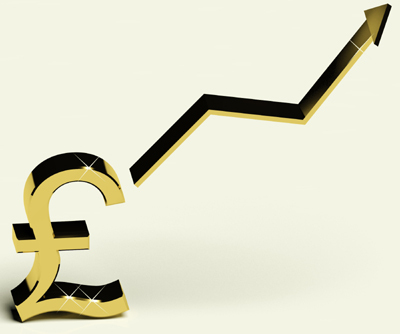 While the interest rate rise is expected to come in small steps of 0.25%, these increases will quickly add up. The Office for Budget Responsibility (OBR) has estimated that an increase of 2.5% in the base rate would mean that homeowners with a £150,000 repayment mortgage would end up paying an extra £230 every month. There is no way to escape the rising interest rates, but borrowers who are concerned about meeting repayments in the future can act now by building a good credit report. A high credit score can help people to access better mortgage deals, personal loans and credit cards even after the base rate goes up. Experian can offer insight into your current credit report rating, and what you can do to improve it in the future so that you can access better deals on your mortgage and other loans.